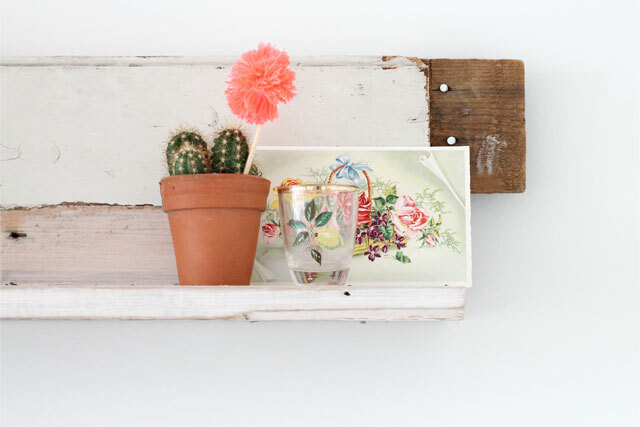 This little shelf has been proving very popular over on instagram, I made it a while back using salvaged wood from our house renovations. I couldn't resist saving this perfect pink from the skip and knew it'd make a wonderful shelf. With Stanley into everything I still want to have a few spots around the house where I can display my treasures well out the way of little grabbing hands. 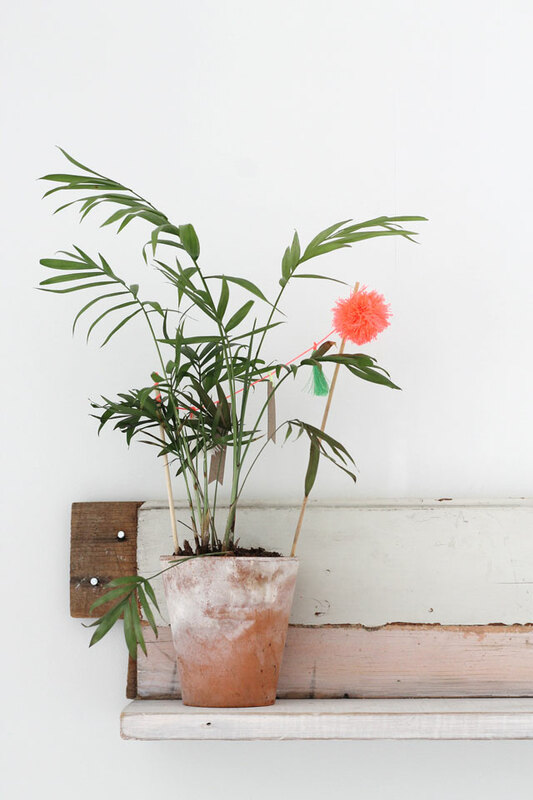 It is really easy and quick to make, I think this took me a total of twenty minutes and I love it, I've been using it to display my summer blooms and it gives a dark corner of my bedroom a little lift. Whilst I'm talking DIY, I've been nominated for an Amara Blog Award in the DIY & Craft category. If you could spare a minute I'd really appreciate your vote. Step 1. You will need two pieces of wood the same length. 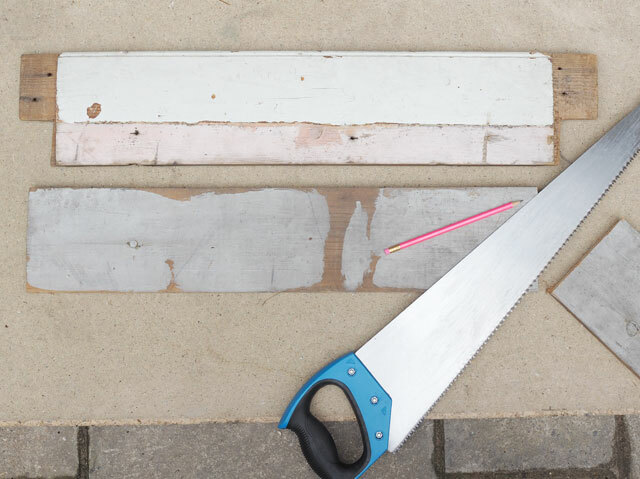 For salvaged wood, find someone with a shed and hoarding tendencies and see if they'll let you have a plank or two. 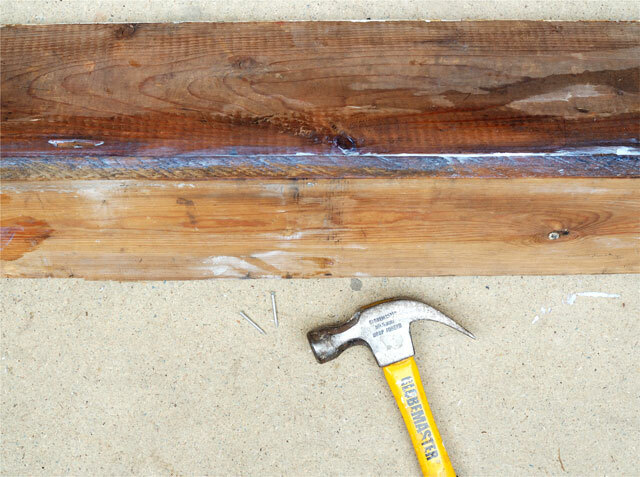 You could use driftwood from the beach or buy a plank of wood from a hardware shop and distress it yourself. Step 2. Decide what will be the top/backboard to the shelf and run a line of wood glue along the long thin edge. Step 3. 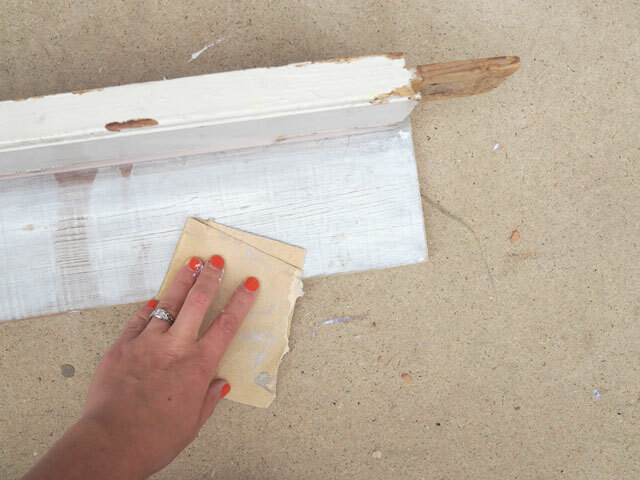 Stick the top to the base shelf and leave to dry, wiping away any excess glue. I added a few nails just to be 100% sure it was secure. Step 4. The wood I used for the base of the shelf wasn't really working with the colours of the top. I added a really thin layer of light pink paint, I dabbed the glue onto kitchen paper and wiped over. Once it was dry I sanded the edges of the shelf to make it look worn in. 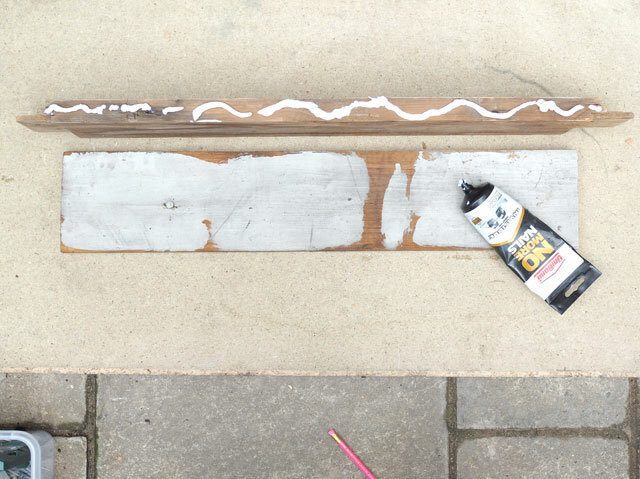 If you are using new wood then use this method to give your shelf a distressed look. Luckily for me the main piece of wood came with pre-drilled holes so I was able to just nail straight into the wall. If your wood doesn't come predrilled then either drill a few holes in the wood and screw into the wall, add hooks to the back of the shelf and hang. 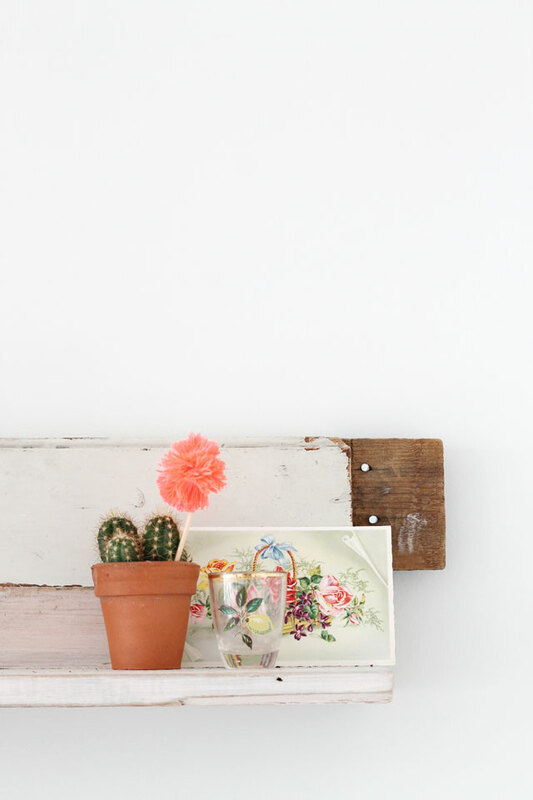 I really love this DIY, simple and easy is the way forward for me these days. I hope to get a few more bits done in my bedroom this weekend and then I can show you the finished room. Its looking so much better with a bit of colour on the walls and a few one-off touches like this.